PATNA: The day belonged to him. After all, he had come for wedding and was expected to return home with his bride soon but it happened just another thing! The bride called up the local police and got him arrested. Reason? The groom had come for wedding drunk and was misbehaving with the guests. Bihar has enforced total prohibition. The bizarre incident took place in Bhagalpur district of India’s Bihar state on Thursday night. 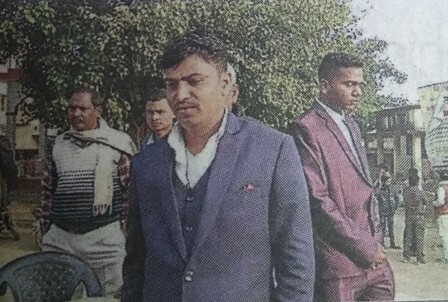 The arrested groom was a policeman posted with the Bihar police department. The wedding of Anusha Kumari had been fixed with Uday Rajak. On Thursday night, the wedding procession finally reached the house of the bride as everyone was ecstatic over participating in the wedding of the couple. Much to everyone’s shock, however, the groom who had apparently come drunk began misbehaving with the guests. He even assaulted some of them. As the news reached the bride, she got angry and called up the local police and told them about how her would-be husband had come for wedding drunk. Very soon, the police reached the spot and arrested the groom. By the time, he came to senses and realized his folly, he had landed in jail. “I would like to go unmarried the whole life than marrying an alcoholic groom,” the bride told the media. “How can he expect others to follow the rules when he himself breaks the laws with impunity?” she asked. Image courtesy: A screen grab.